Category Archives: "Destination – Africa"
Zambezi Queen makes her home in one of the world's most captivating places, Africa's legendary Chobe River. 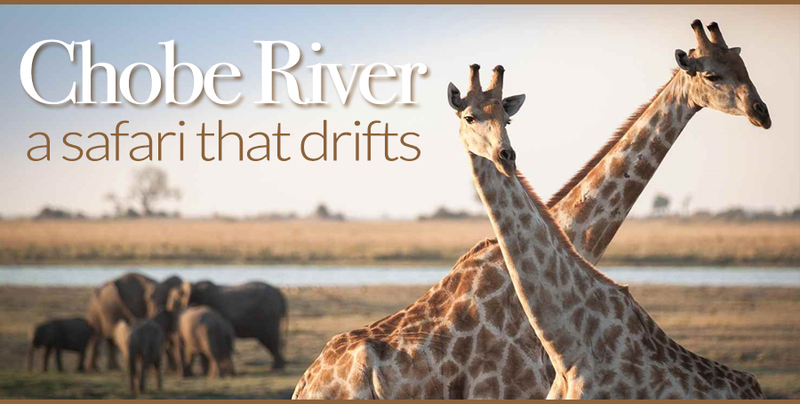 Unlike a typical river cruise that travels from one port to the next, the Zambezi Queen was designed for an entirely different purpose—to facilitate optimal game viewing along the Chobe. As this floating hotel drifts along the river, animals perceive no threat and come to the water to drink and bathe, affording you with an amazingly up-close view and once-in-a-lifetime experiences.